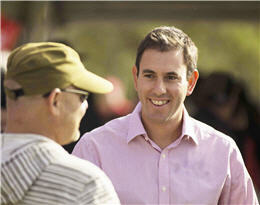 Jim Chalmers is the Labor Member for Rankin QLD and the biggest supporter of New Zealanders in Australia. Oz Kiwi first met Jim in 2015, and he has been advocating on our behalf since then. We can’t thank Jim enough for his work to educate his ALP Caucus colleagues and the broader Australian community on the 2001 issues. Jim represents one of the largest New Zealand communities in Australia and has been a long-term and proud supporter of Oz Kiwi. Jim Chalmers has been the Member for Rankin since 2013, proudly representing the people and suburbs of southern Brisbane and Logan City where he was born, grew up and made a home with Laura, Leo, Annabel and Jack. In 2016, he was appointed Shadow Minister for Finance, entering Shadow Cabinet for the first time. Jim represents one of the largest New Zealander communities in Australia and has been a long-term and proud supporter of the Oz Kiwi community. Jim has campaigned extensively for greater recognition of the special relationship between our two countries and the unique circumstances around it. 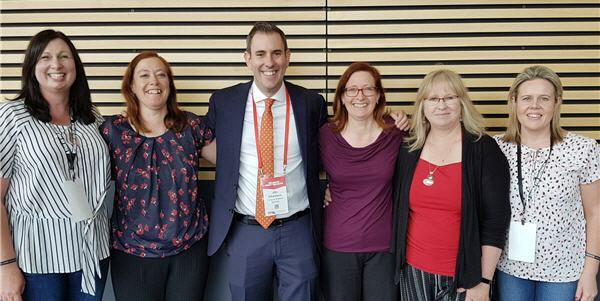 At the 2015 ALP National Conference, Jim helped lead changes to the national party platform, added recognition of special category visa holders and called for pathways to citizenship and access to higher education and social safety nets for Kiwis living in Australia. Jim has also been a vocal supporter of Oz Kiwi rights in Parliament, including in 2017 when he and Labor opposed the Government’s announced changes for New Zealand citizens studying in Australia, which would have seen huge fee increases. 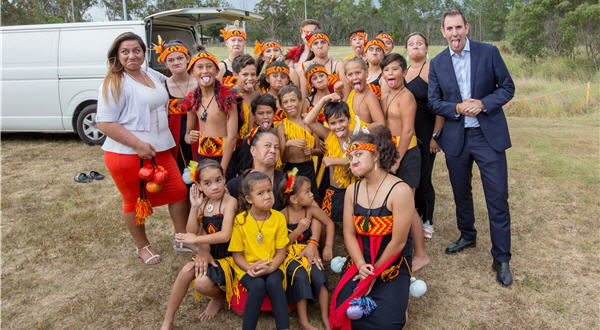 Jim Chalmers at a Waitangi Day event in Logan, QLD. (Photo supplied). “I’m so privileged to represent such a large and vibrant Kiwi community in my local area. “The high concentration of New Zealand-born people in our local area enriches our local community and strengthens our economy. “As lucky as we are to have them, many in the Oz Kiwi community have their own unique set of challenges to contend with and I want to help overcome them. “I was proud to stand with Tanya Plibersek and my other Labor colleagues in Parliament to fight against the Government’s plans to make university even more expensive for New Zealanders living in Australia. “We should be doing more to help Kiwis living in Australia get a good education and contribute to our economy and our society, not less.